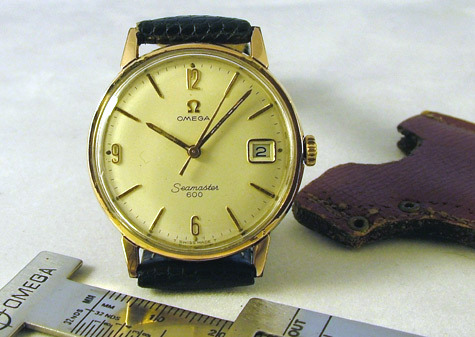 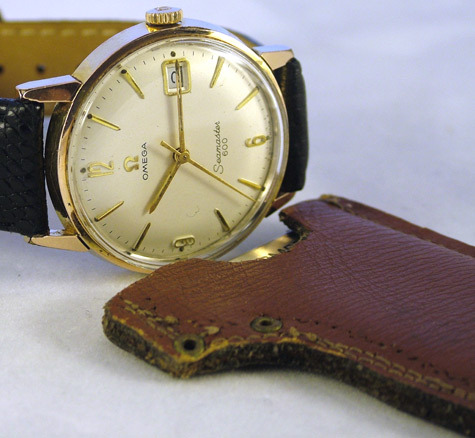 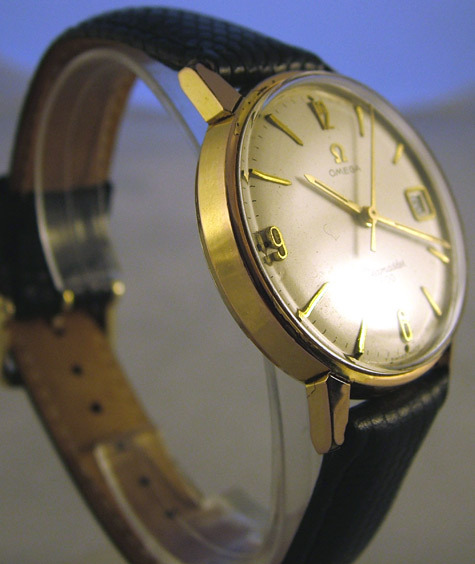 Dating from the early to mid-sixties this Seamaster 600 is really a very classy example of a vintage Omega. 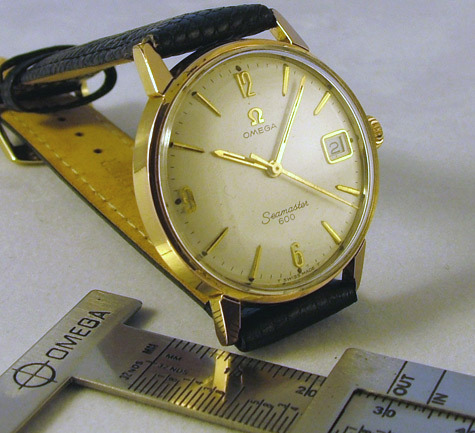 Still surprises me just how cheap these go for, you should be able to pick a decent example up for no more than £250 with a little patience. 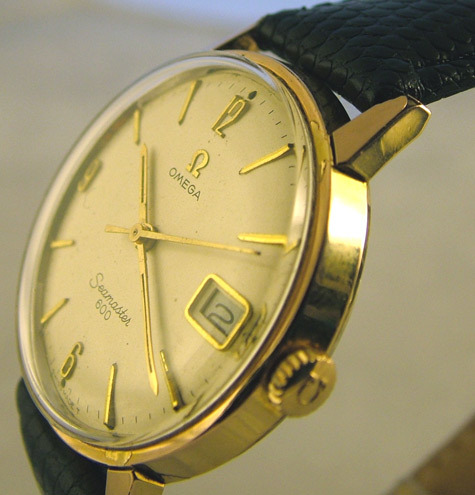 I normally shy away from gold plated Omega’s but the combination of the low price and those rather funky elongated Arabic numerals turned my head, I’m glad they did. 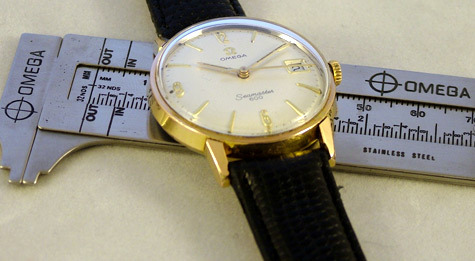 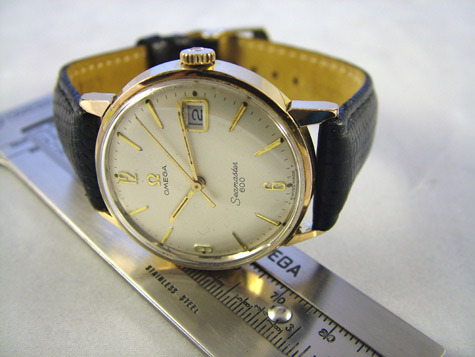 This entry was posted on Saturday, October 29th, 2005 at 9:43 am	and is filed under Omega Seamaster.